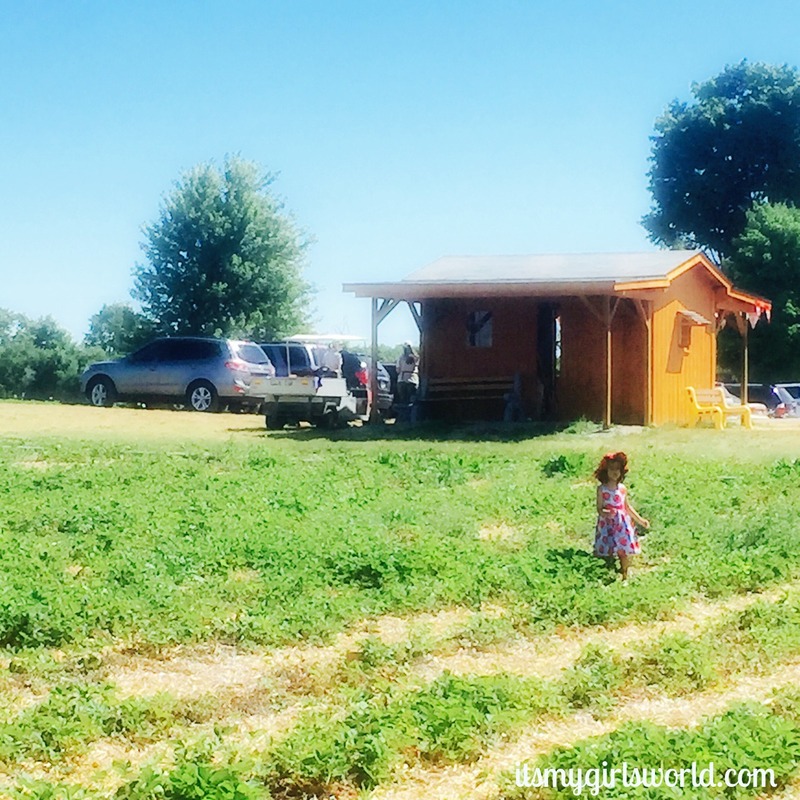 You know how I love a good blog band-wagon! Some shots of my kids, my mom and me when we made our annual pilgrimage to Marcy's Berry Farm for some juicy strawberries. 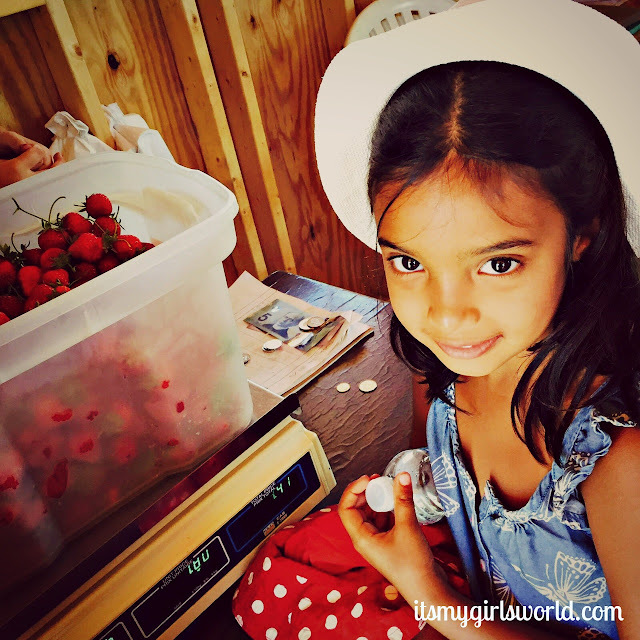 This little one picked some huge berries! 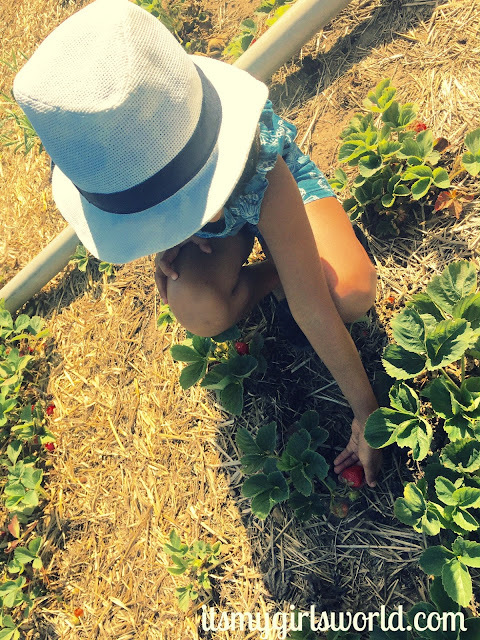 The perfect weather for berry picking. 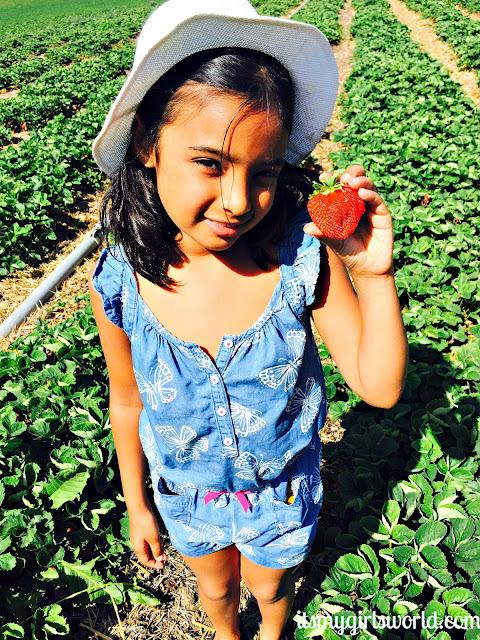 She was so excited to wear a strawberry dress to go strawberry picking. Almost 12 pounds of strawberries! We might have gotten a little carried away. I froze a huge bag for my smoothies and we've already used lots. 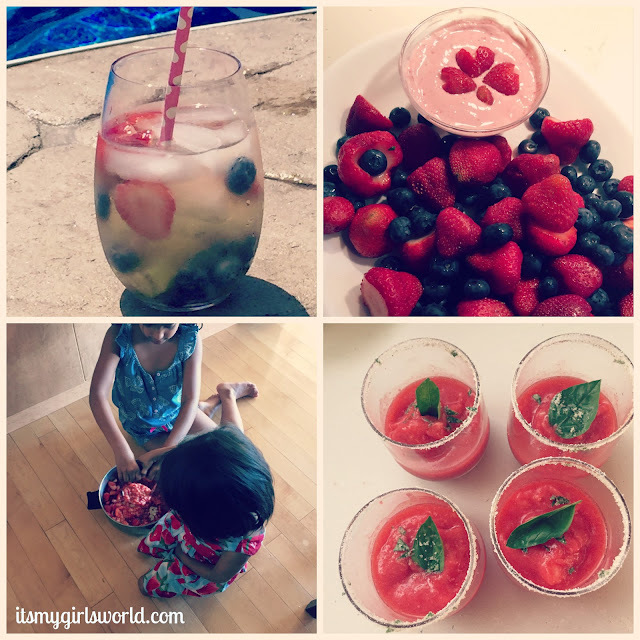 We made jam, sangria, fruit dip and strawberry basil margaritas! 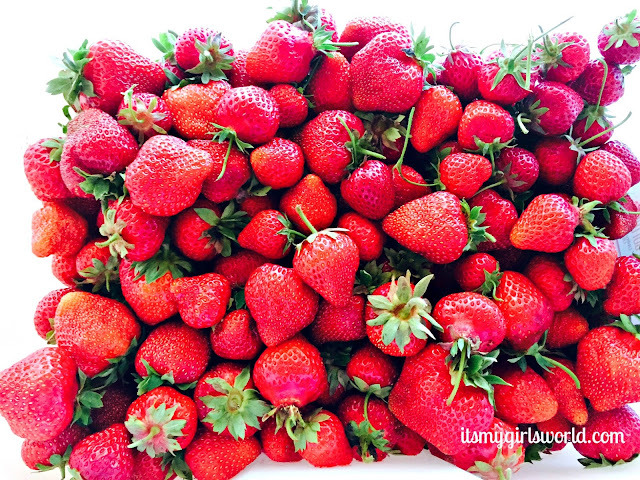 Any other strawberry recipe suggestions?! What an awesome time. 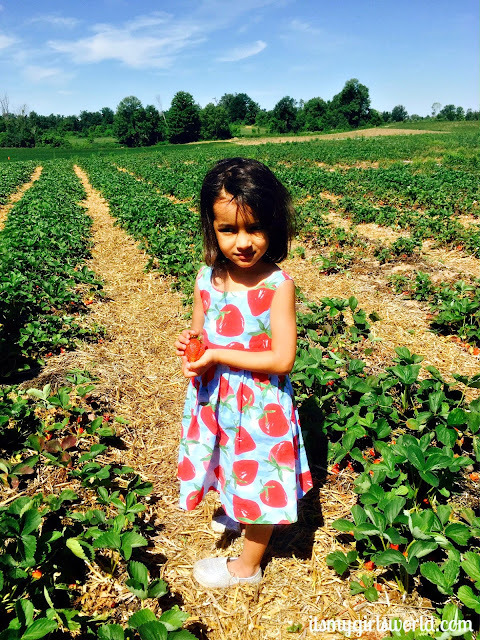 I love that she had a strawberry dress to wear. Really, does it get any better than that?! 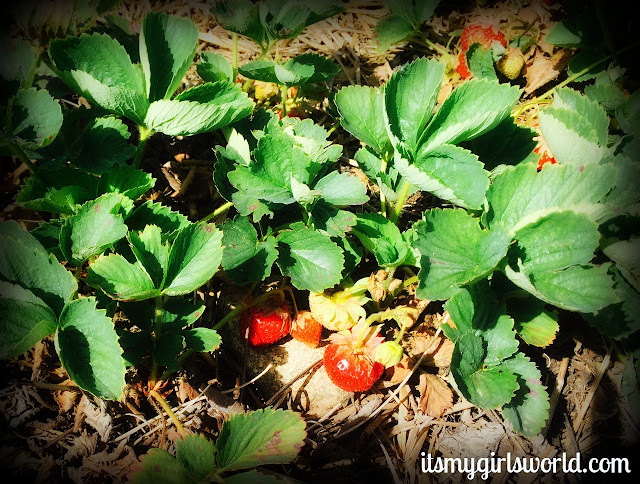 I wish we had a berry patch close by! 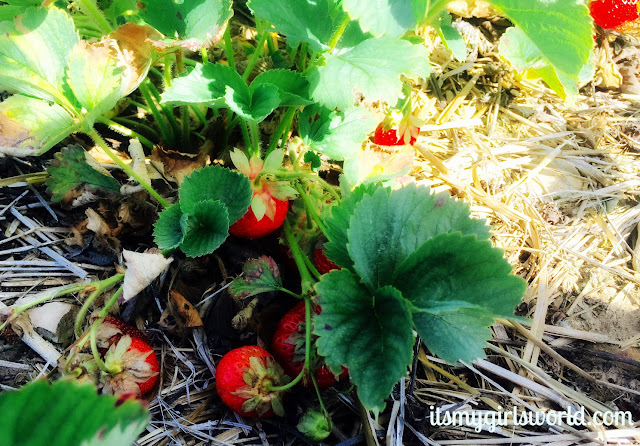 Strawberry basil margaritas?? Yes please! 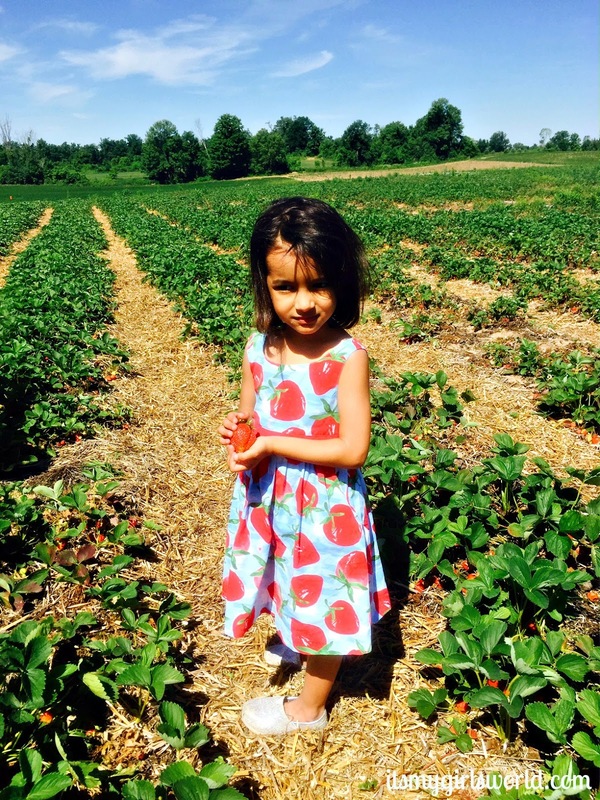 Love that strawberry dress. Definitely a perfect photo op. I was just researching strawberry farms in my area and realized it's not exactly strawberry season anymore in hot Florida. 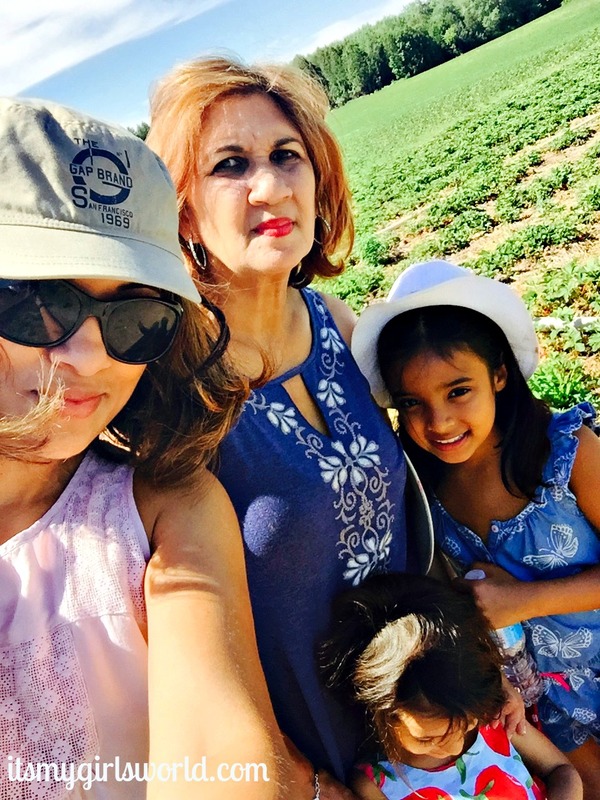 Your pictures are so cute and I'd say that's the perfect girls trip! How fun! 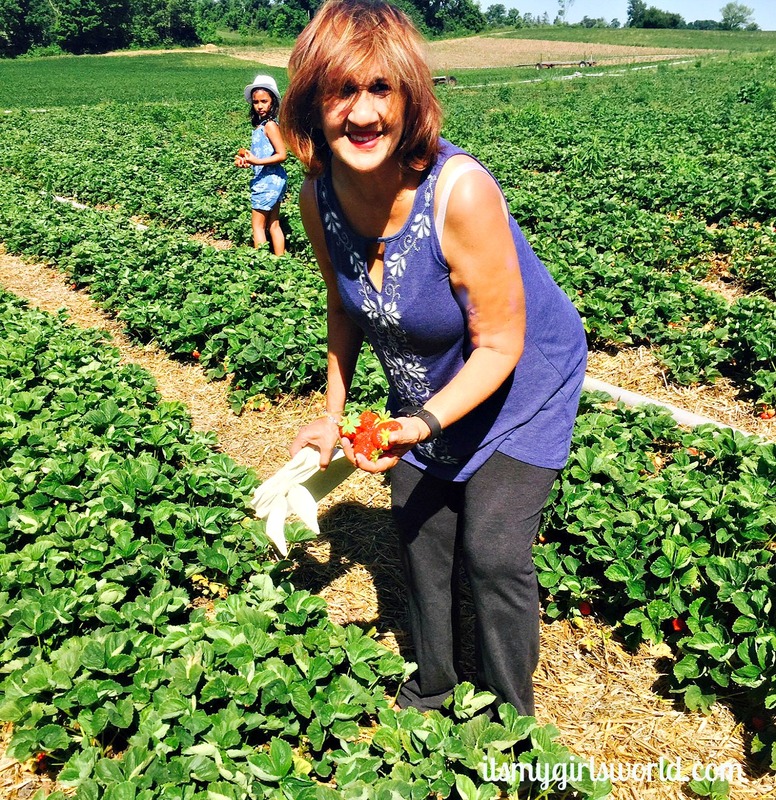 I've never been strawberry picking, but have always wanted to do it! 12 pounds wow! You guys were BUSY! Enjoy.